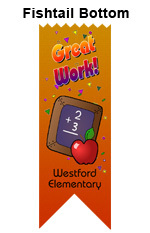 Highlight your next event or promotion with these full-color ribbons. Using a dye sublimation printing on white satin acetate, these ribbons capture blends, photographic images and gradients in your design. And, they are perfect with all of your identification needs. 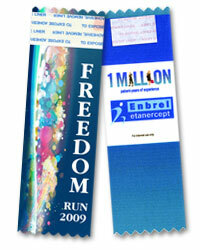 Full-color ribbons come in two vertical stock sizes and have dye sublimation printing on white satin acetate ribbons. 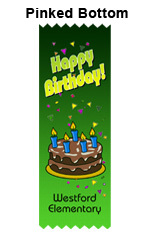 Images and graphics may print to the edge (bleed). Each ribbon has an adhesive strip along the top edge and the top and bottom are pinked to prevent fraying.